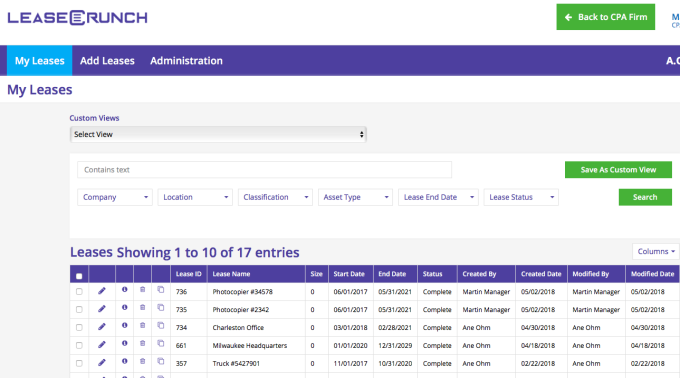 A group of former CPA firm auditors has teamed up to develop LeaseCrunch, lease accounting software that they’re selling through CPA firms to help clients deal with the new FASB standard. Are you ready for the new lease standard? Schedule a demo so we can show you new lease accounting best practices and a better way to service your clients.